Leasing a new Volkswagen is simple, and it starts with finding the VW car or crossover that fits you. 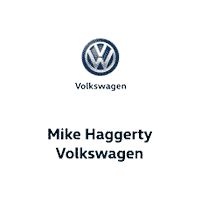 Once a team member at Mike Haggerty Volkswagen knows which Volkswagen model you’re interested in, we can bring up all of the lease deals and go over the advantages of each. Determine the average number of miles you drive. Estimate your monthly budget for a car payment. Determine the value of any trade-in vehicle. Decide on whether you should get gap insurance. The process of leasing will feel quite a bit like buying a car for most drivers. Where a lease is different than a loan, though, is that there’s one last step: returning the car. Depending on your lease terms, you could return the vehicles in as few as 24 months, though 36-month leases are some of the most common. Many leases have an opportunity to buy the vehicle for an agreed-upon amount after the lease is finished, if you’d like to hold onto it. Many drivers who lease at Mike Haggerty Volkswagen choose to lease a new vehicle when their current lease is done — it’s a great way for Chicago and Orland Park drivers to stay behind the wheel of the latest cars. Residual Value: The residual value of a vehicle is a percentage that expresses its expected value after a certain time has passed. The lost residual value is what you pay for in a lease. Money Factor: This is just another term for the interest rate, though it is often not expressed as a percentage. The higher the money factor, the greater the interest paid. Mileage Limits: Leases have mileage limits to mitigate depreciation, and they’re usually expressed annually. Be sure you do the math on how much you drive and have a clear understanding of the costs of going over your mileage limit. Now that you know a bit about how to lease a Volkswagen, let us help you find the right one. Contact Mike Haggerty Volkswagen to learn more about the current VW lineup or to schedule a test drive. And if you have questions about our lease deals, don’t hesitate to ask. 0 comment(s) so far on How Do I Lease a Volkswagen?